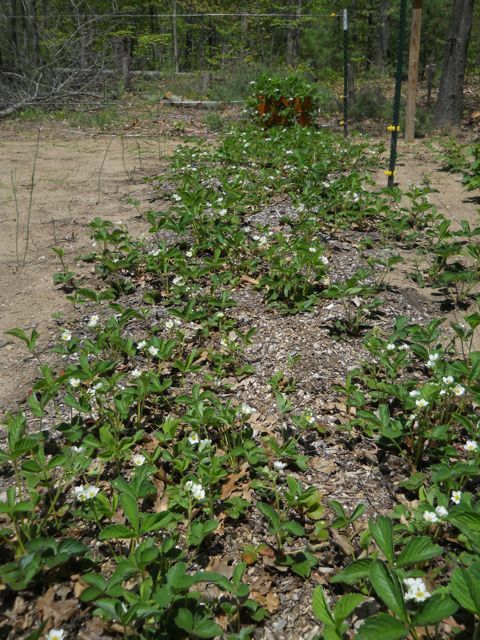 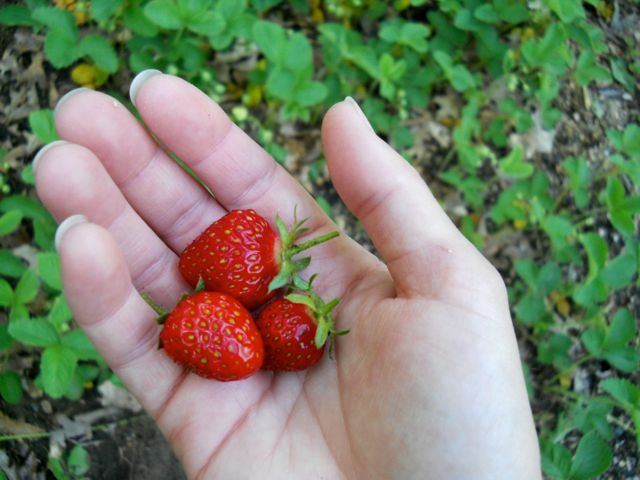 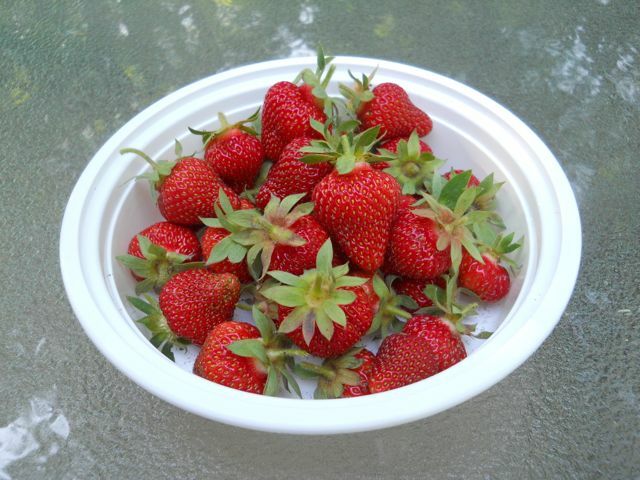 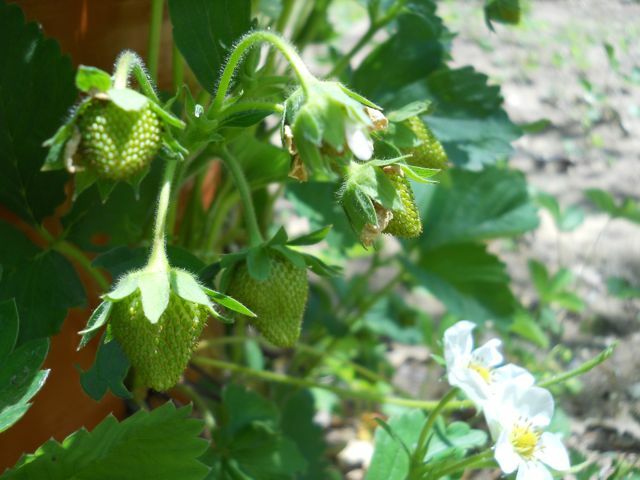 I’ve been really excited about our strawberries this year, partially because that part of the garden has the least amount of weeds (due to last year’s newspaper and mulch layer), but mostly because the plants have just looked so promising all spring. I was fretting early on about all flowers not getting pollinated because I expected to see our bees all over the plants. They were busy in other places, but it turns out other insects did the job just fine. 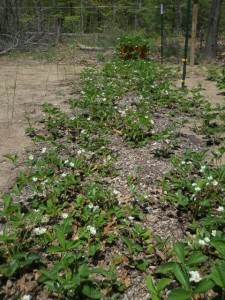 I wrote about how making maple syrup was a patience maker, but I think it’s true for growing food also. 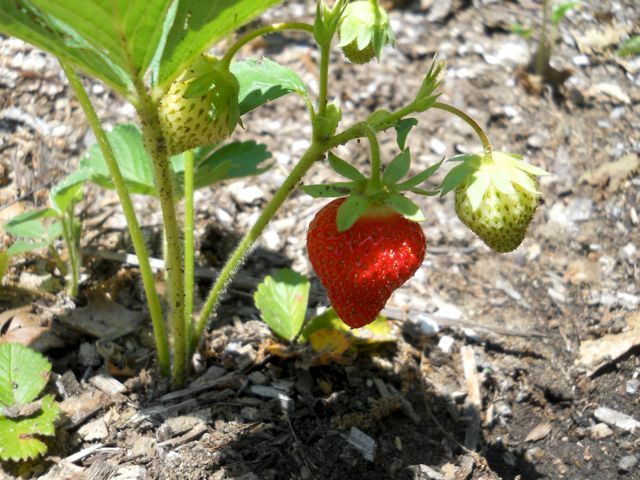 I’m trying to make “wait a day after you think it’s ready” my strawberry picking rule because it’s so tempting to pick the fruit before it’s fully ripe. I’m looking forward to picking more tomorrow!